These are from the Reeves residence in a private community in North Georgia. 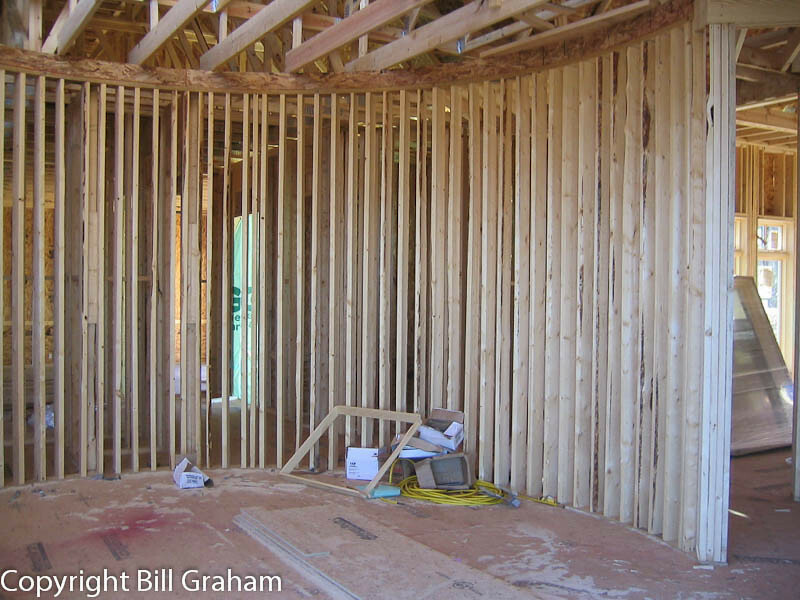 The radius walls, furrdowns and ceiling drops, as well as the angled layout of the house and the extreme grade of the site, made this a challenging and unique framing project. The basement was done on a crawlspace, 8-10' framed 2x6 walls on top of concrete subwalls. The basement subfloor was at 18' above grade. This project was done in early 2004.